Rural house with apartments, located in the heart of nature on the 'Flysch Route'. Beautiful cliffs. Sea and Mountains. Surf, Gastronomy, Basque culture .. 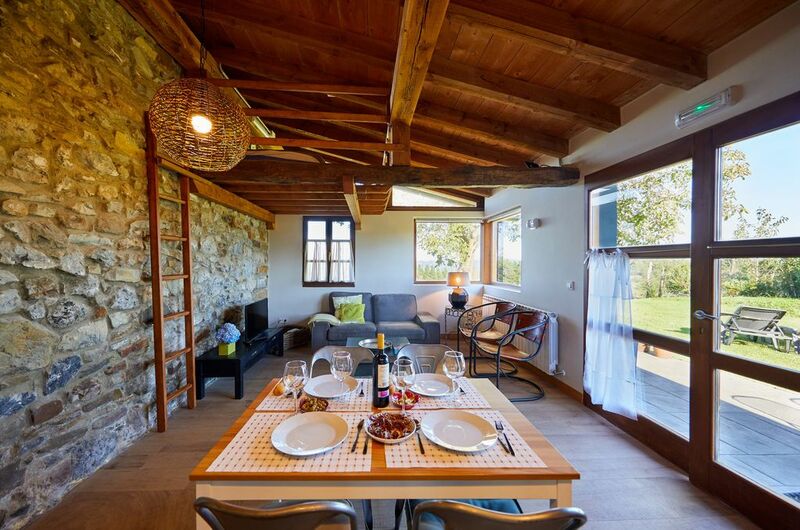 The Farm "Urain" is located in full nature to 3 km of the sea and near the beaches of Zumaia (6 km), Deba (8 km), Getaria (10 km), and Zarautz. At home nature is real: children can feed chickens and rabbits, pet our cats and run with dogs. The farm is in the heart of Flysch Geopark, surrounded by beautiful surroundings with magnificent mountain views and close to the cliffs of the coast. Excellent séjour avec un accueil exceptionnel des proprietaire toujours aux petits soins. We stayed one week with 2 kids (8 and 9). New, clean and comfortable house. Good spot for trips to San sebastian and Bilbao, beach and beautifull surroudings. Great views and fresh eggs from the mini farm. Several appartments, we had a great spot with beautiful view. Hostess Anais is lovely and helpful with tips about the region.